More than 350 listings of different foods, ingredients and substitutions. Detailed cooking tips with instructions to help you avoid costly mistakes. Save time in the kitchen with cooking and preparation hints. Takes the guesswork out of preparing fresh fruit, vegetables and meats. 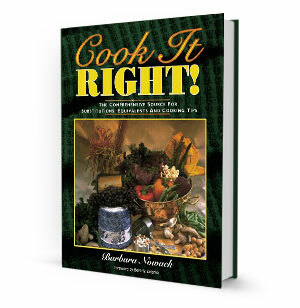 Invaluable reference guide for both beginning and experienced cooks.